Alden Fertig, Senior Director of Product & Customer Success for Ustream, pictured with the Roland VR-50HD Multi-Format AV Mixer. Los Angeles, CA, December 17, 2015 — Ustream, the world's live and on-demand video platform leader, based in San Francisco, is using Roland’s VR-50HD all-in-one HD multi-format AV mixer to control internal streaming audio and video communications within its corporate environment. The Roland VR-50HD, which integrates an audio mixer, video switcher, multi-viewer touch screen and USB video/audio streaming into a compact and portable stand-alone device, is being employed in combination with Ustream Align, Ustream Demand and Ustream Producer live video software solutions. View a video case study here: https://youtu.be/U13-_SzBQh8. 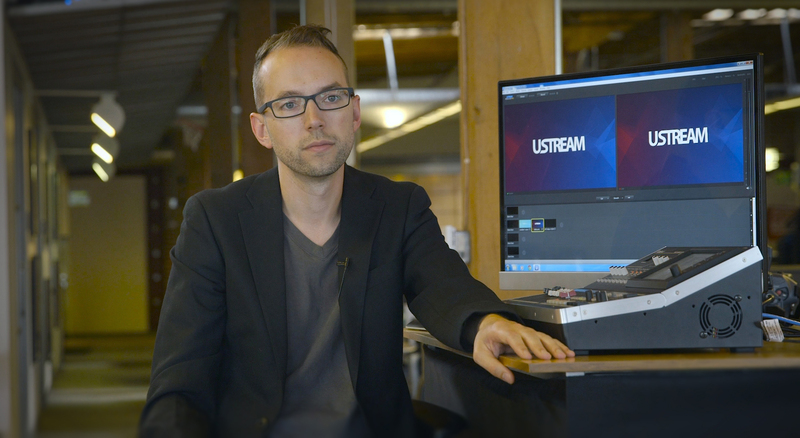 Ustream was founded by John Ham, Brad Hunstable and Gyula Feher in 2007, initially to connect remote military servicemen to significant personal and cultural events, and has since developed into the live business video platform of choice for a long list of clients including Cisco, Facebook, Intuit, Mazda, NASA, Samsung, Sony and others. Headquartered in San Francisco, the company also maintains offices in Los Angeles and Budapest, Hungary, and regularly uses the Roland VR-50HD during local and global internal streaming events such as sales, customer service and town hall meetings. The VR-50HD accommodates up to 12 HDMI, 3G/HD/SD-SDI/SDI, RGB/Component and composite inputs, enabling feeds from devices of differing formats and resolutions to be effortlessly combined into a single 1080p output. For more information, please visit http://proav.roland.com/products/vr-50hd/. Photo caption 1: Alden Fertig, Senior Director of Product & Customer Success for Ustream, pictured with the Roland VR-50HD Multi-Format AV Mixer. 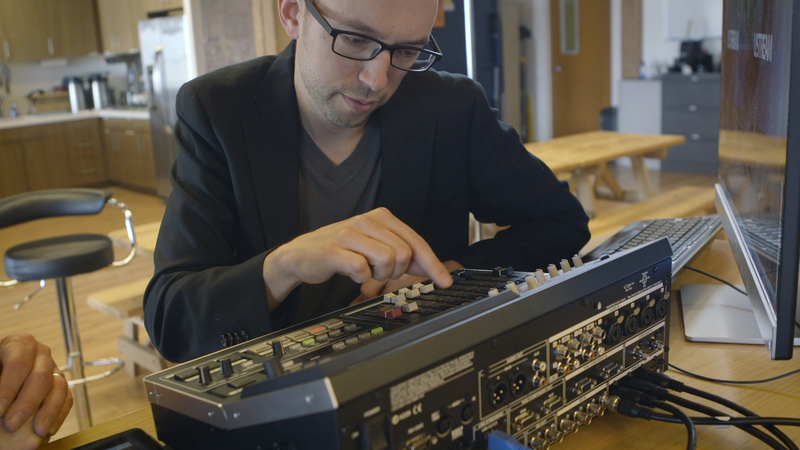 Photo caption 2: Alden Fertig, Senior Director of Product & Customer Success for Ustream, pictured with the Roland VR-50HD Multi-Format AV Mixer. Ustream is the pioneer in live social video streaming, boasting the largest global community with more than 60 million viewers and broadcasters. The company’s innovative cloud technology enables anyone – from entertainers to consumers, to companies to non-profit organizations – to easily connect and broadcast in real-time. Founded in 2007, Ustream is a San Francisco-based company that has grown to more than 160 employees within their San Francisco, Los Angeles, and Budapest offices. Company partners include Panasonic, Samsung, Logitech, CBS News, PBS NewsHour, Viacom, and IMG Media. Ustream is a privately-owned company. For more information on Ustream, visit ustream.tv, twitter.com/ustream, or facebook.com/ustream.